On the night of May 10, 2017, members of the Macaulay came together to honor select seniors in the Macaulay community. 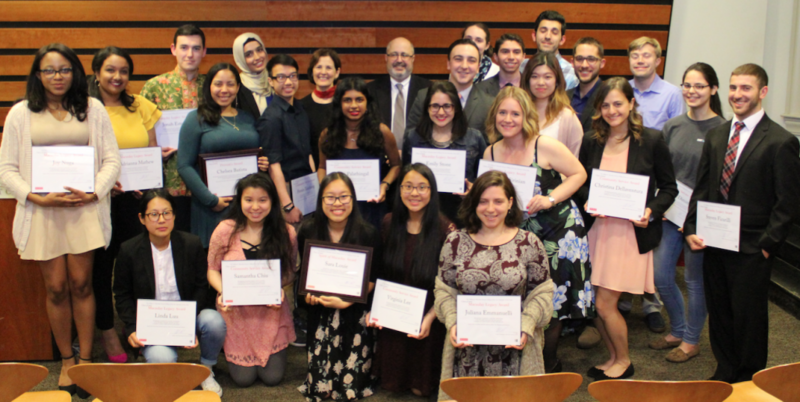 In addition to the inaugural Provost’s award, seniors also received awards from the Bruno Salazar Alumni Network, and the Spirit of Macaulay citation. Each of the 8 campuses gave awards from two categories: Community Service: Recognizing outstanding volunteer service work that exemplifies Macaulay’s belief that every student must challenge him or herself to improve the lives of others; and Legacy: Recognizing exceptional co-curricular contributions to the Macaulay community that have provided a template for future student activities and outreach.